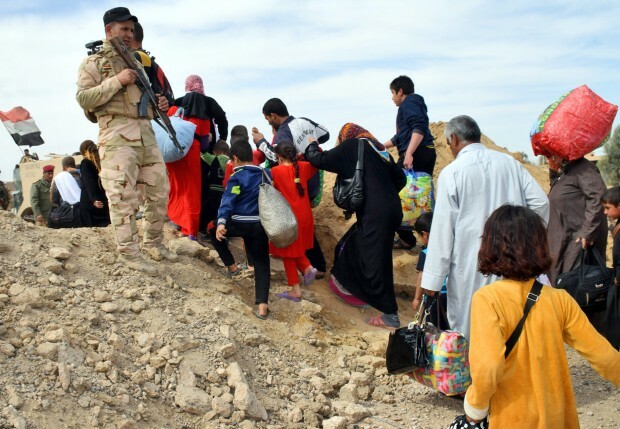 MANCHESTER, England (CNS) — The British government has defeated an attempt to recognize the “genocide” of religious minorities by the Islamic State group. An amendment to the Immigration Bill was rejected, 148-111, after the government imposed a whip on lawmakers in the House of Lords in London to ensure that it would fail. The measure, proposed by Lord Alton of Liverpool, a Catholic, called for the High Court to decide whether atrocities committed against Christians, Yezidis and other religious or racial minorities in Iraq and Syria constituted genocide. It would have also obliged the government to consider applications for asylum from overseas if they were made by refugees belonging to the groups recognized as victims of the genocide. Currently, asylum applications are considered only when an applicant has landed on British soil. The amendment was introduced after the European Parliament, the U.S. House of Representatives and U.S. Secretary of State John Kerry recognized that the Islamic State group was committing genocide against minority groups that did not share its own extremist Sunni Muslim beliefs. “We have to be realistic about what we can and cannot achieve,” Lord Keen said. “What we cannot achieve is a policy whereby 4.8 million or more people are invited to make an application at a local level for a visa to bring them to the U.K. The third reading debate concluded the passage of the Immigration Bill, and it will become law after it receives royal assent later this year. “This should not have been a day for party whips and scaremongering arguments — such as being flooded with genocide victims — none of which brings Parliament credit,” he said in a March 21 statement. “This was a day when Britain … simply chose to look the other way,” he said. If the United Nations ultimately recognizes Islamic State atrocities as genocide, the countries that have signed the 1948 convention will be obliged to bring its activities to an end, to prioritize the protection of the victims, and to pursue and prosecute the perpetrators once the hostilities are over.